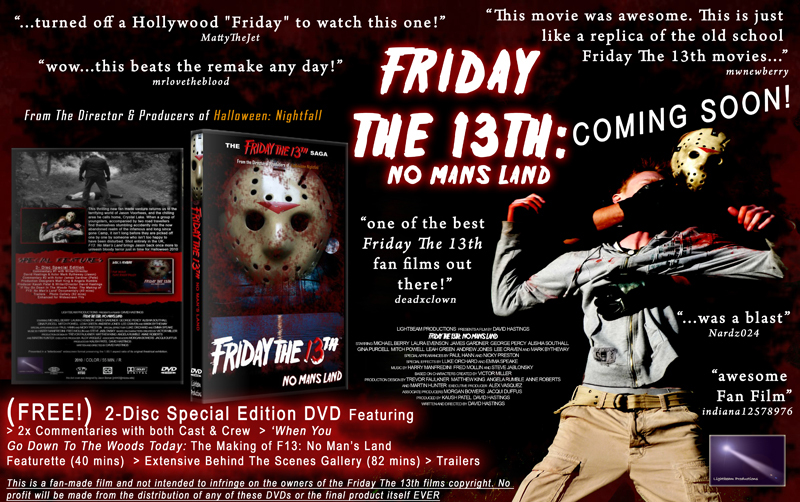 Good news for followers of Friday the 13th: No Man's Land, a Special Edition, 2 DVD set is being made available this September! 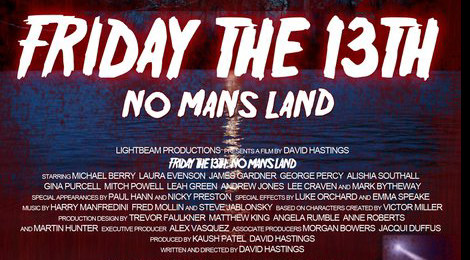 This retro Friday the 13th fan film was released during Halloween 2010 and garnered rave reviews among fans and the horror community. We currently have this film listed in our Fan Film section on the website and encourage everyone to check out those film offerings. This free 2 disc set will include Cast and crew commentaries, When You Go Down To The Woods Today: The Making Of Friday the 13th: No Man's Land, Behind the scenes gallery and promotional trailers! as mentioned, this will be a free DVD release as legally you cannot profit using the Friday The 13th name or Jason Voorhees character. We encourage everyone to check out the film HERE. Look for the new DVD set to be available around the middle of September. More details for requesting the film on DVD will be forthcoming! Make sure to visit the Facebook page for details as they are made available!